Join the TubeMoguls, get Delicious, StumbleUpon customers—and 298 more great tips! MARKETING The time to start social media marketing was yesterday. Don't worry, though—this book will get you going today! 301 Ways to Use Social Media to Boost Your Marketing is packed with quick "snapshot" lessons for spreading your message and building customers—with little effort and virtually no cost. Designed to help you take action right away, each tip is presented in a stand-alone format to help you focus on what you need to do—and only what you need to do. 301 Ways to Use Social Media to Boost Your Marketing provides simple strategies for capitalizing on the top social media platforms like: • BLOGS • MICROMEDIA • SOCIAL NETWORKING SITES • BOOKMARKING SITES • MULTIMEDIA SITES • REVIEW AND OPINION SITES • WIKIS You'll own the crowds on Twitter, Facebook, and YouTube—as well as on niche sites like Yelp, Ning, SmugMug, and Reddit. Potential customers are already having a conversation about your brand. 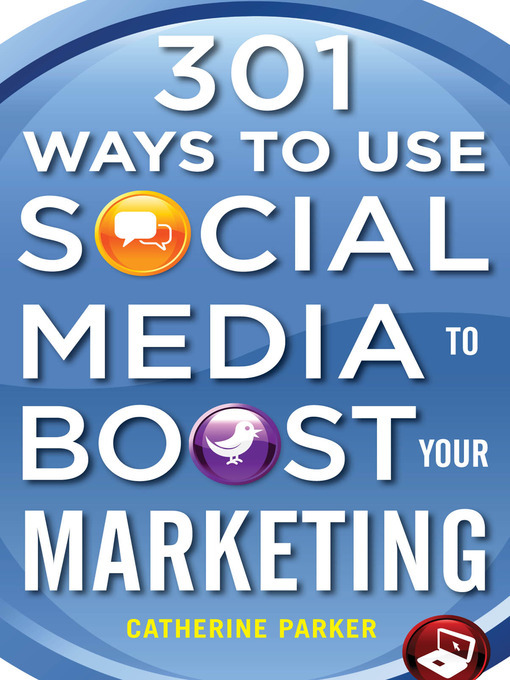 Use 301 Ways to Use Social Media to Boost Your Marketing to grab them before your competitors can say "tweet"!